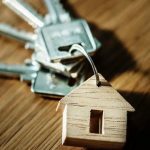 There is so much to think about, from the overall blueprint to each individual nook, so it’s important you spend ample time considering your current and future needs for the new home. Your individual lifestyle will dictate a lot of the design aspects of your home. We are all very unique so a floorplan that suits one family may not suit another. When designing your own house, remember this is the time you can literally build your dream home, tailored to your lifestyle, so don’t get caught up on trends or rooms you “must have”. For example, if you are a devoted cyclist, then investing in a room to keep your bike, bike trainer, spare wheels and kit will be a dream come true and a better investment than another guest bathroom. On the other hand, if you are an avid entertainer, then a larger kitchen and open-plan living area will be a better utilisation of space. 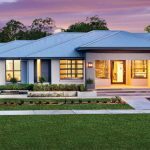 Function and future living situations will also play a large role in the design of the home, says Solar Solutions Design building designer Darren Evans. 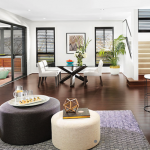 “People don’t think of their future needs when designing a home,” says Darren. “If you are a growing family, things like the placement of bedrooms and how many will be an important consideration.” While you may like the idea of having your newborn close by in the room next to you, it may be a different story 15 years down the track when your not-so-little one is blaring the latest chart toppers. While this is the time to incorporate your dream elements, there are some practical factors which may mean some components are unachievable. Location and orientation are key factors. You may dream of a second-storey bedroom with large windows and a balcony, but if the view is questionable or if the neighbouring house faces directly into yours, this may not be the best idea. Considering what is in and around each room before putting pen to paper will save you from later regrets such as this. Be aware of where the natural light will enter the home and how it changes throughout the day. Your house should embrace the individual characteristics of the site and utilise these to your advantage. In Victoria, climates are known for a cooler temperature overall so a northern orientation is generally ideal. Your builder and architect should be able to assist you with these more technical aspects. Another factor that will keep your vision realistic is your budget. This is best formed before approaching your builder and architect. Work out how much you are willing to invest and what type of loans you are eligible for. A general rule of thumb is to budget at least 20 per cent more, so if unforeseen issues arise you will not be left in debt. Floorplans are often difficult to comprehend; it can be easy to mistake a doorway for a window or vice versa, so make sure you understand each element of the drawing before saying yes. The builder or architect you to choose to work with should be able to explain every aspect and delve into detail about each space. Don’t be afraid to ask for help — after all, this is a big commitment so you want to make sure you are completely happy before going ahead. With the advances in technology today a lot of builders and architects have access to interactive floorplans and virtual tours, complete with furnishings to give you in-depth insight to your new home. These are great tools to use as they give you the power to “walk through” your home before it is even built. 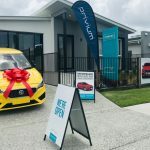 There are several online hubs and apps that offer these types of services for free so you can have a play with what you want even before approaching a builder or architect. 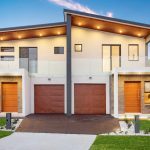 It is crucial to develop a good relationship with your builder and architect so they can create a home that suits you and will have the feel you are after. Designer, director and builder of Graeme Alexander Homes, Graeme Alexander, says, “The feel of the home is possibly the most important as it needs to reflect the owner’s personality and the environment in which it is to sit. This can only be done by getting to know the owners in person and the feel of their home through the clients’ ‘scrapbook’ — cut-outs of magazines or photos so we can get an idea of what the clients like.” So be sure to come armed with your Pinterest pages, magazine cut-outs and clips of what you are after so you can discuss what is achievable for your budget and site. 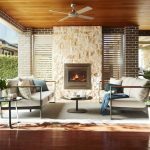 Adding energy efficiency basically means trying to find ways in which you can reduce dependence on mechanical heating and cooling options and rather utilising the natural environment to your advantage. This will involve looking at the orientation of the home and the micro climate. 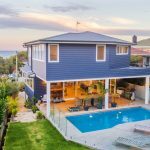 In Victoria, building on a concrete slab will help increase the thermal mass of the home, which can make a big difference to your overall comfort as well as heating and cooling bills. Each room and living space will predominantly be determined by lifestyle, however some key rooms need to be given special consideration. Bedrooms, living area, bathrooms and the kitchen are private and communal areas that you will spend the majority of your time in, so getting them right is essential. “Getting the rooms just the right size is key — not too big and not too small,” says Graeme. To get it right, consider what the function of the room is to help determine its size and shape. Initially most parents will want their children’s bedrooms close to the main bedroom, but this will most likely change as the children grow up. You want to position the bedrooms away from the key communal spaces so they are not exposed to high volumes of noise and other disturbances. Be aware of the type of light entering the room and how it will affect your sleeping patterns. Also consider what type of storage and amenities you want in and around your bedroom for convenience. Arguably the most important room in the house, the kitchen is a space that needs careful consideration and planning. Most of your time will be spent here cooking, eating and entertaining, so make sure it’s a place you enjoy being in and can be kept looking its best at all times. 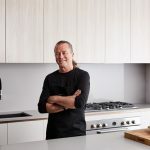 The professional kitchen designers at The Good Guys gave BuildHome Victoria the rundown on how to create your dream kitchen. Place your kitchen in a part of the home that receives plenty of natural light and one that can oversee other areas, such as living/dining and outdoor spaces. By doing this you will put the kitchen at the head of the action, allowing you to keep an eye on the kids as well as be part of the conversation when entertaining. Consider what size of kitchen will suit you and your home. If you are a culinary enthusiast then a larger kitchen with plenty of top-of-the-range appliances will be a delight, but if you don’t do a lot of cooking then a smaller kitchen might be a better option. L-shaped kitchens are perfect for open-plan homes and those who like to entertain. Typically featuring two entry points, a long stretch of cabinetry that integrates the oven and cooktop and central island, this design will add an airy feel to your space. U-shape kitchens usually have walls on three sides that create three very distinct areas, and is well suited to large spaces and large families as it maximises the amount of storage and gives you ample space for large appliances. Galley kitchens have been a long-standing favourite of chefs around the world. A modern design ideal for contemporary-style homes and apartments, the design features two long stretches of workspace on either side of a walkway, keeping appliances and workspaces close to each other. If unsure which type will work best, you can also think about the “work triangle” as three distinct areas in your kitchen design: the food prep, the cooking, and the clean-up. As a general rule of thumb, the space between these areas should be no less than one metre and no greater than three metres. Once you have planned your kitchen, the fun part begins — choosing your appliances. There is so much out there so be savvy when selecting. Investment pieces like your fridge and oven will give your kitchen the “wow” factor and take up a fair amount of space, so incorporate them into your initial plans to ensure the area is as functional as it is beautiful. How many children do we have and do we plan to have more? Do we have any older relatives that are likely to live with us? Will wheelchair access be required? Do we have frequent house guests that stay for extended periods? Does one partner work late? Do we or will we one day work from home? Are clients likely to visit? How long do we want to live in this house? What can I do to provide future flexibility in order to add or extend the home later? Do we like to cook and entertain? What spaces could be dual-purpose? Do we want technology in bedrooms or outside the home? Are there specific design themes that need to be considered? Seasons — how will different times of the day and year impact on where we will want to be in the home? Do we prefer open-living spaces or individual rooms?